Two cruel crooks broke into a beloved Catholic church in Howard Beach early Thursday morning and stole hundreds of dollars in cash from donation boxes, authorities announced on Friday. 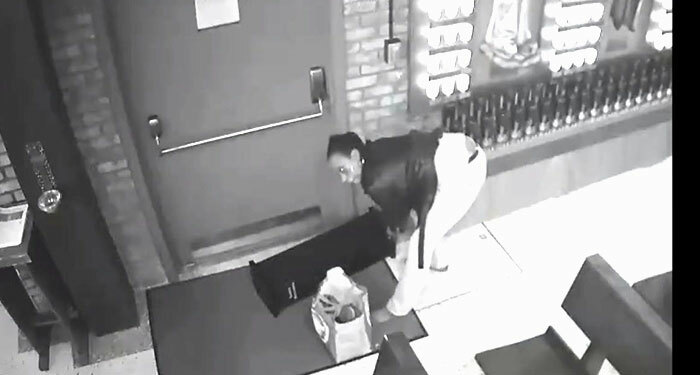 According to police reports, a black man and woman, both 30 to 40 years old, forced their way in the front door to St. Helen’s Roman Catholic Church on 83rd Street around 3 a.m. The female perpetrator pilfered approximately $400 from four containers positioned in the nave of the church near the doors. She was clearly captured on security footage casually rifling through one of the coffers. The thieves fled the scene in a red four-door sedan, cops noted. The lifted loot was donated by parishioners and goes to various charities that provide aid to the indigent and other Church initiatives. “It is appalling to think that there are people who would rob from anyone or any place, especially a church,” Howard Beach Lindenwood Civic President Joann Ariola Shanks said on Tuesday. The civic holds its monthly meetings inside St. Helen Catholic Academy, which is directly across-the-street from the church. “I guess the thieves weren’t mindful of God’s eighth commandment: ‘Thou shalt not steal,’” Ariola Shanks added. As of Wednesday afternoon, no arrests had been made. “We posted it online and the hopefully someone will call,” the 106th Precinct executive officer, Capt. Mike Edmonds, told The Forum. Anyone with information on the incident is asked to call (718) 845-2261.